+ 15% off all services (Spa, Laundry, Dining, Bar). 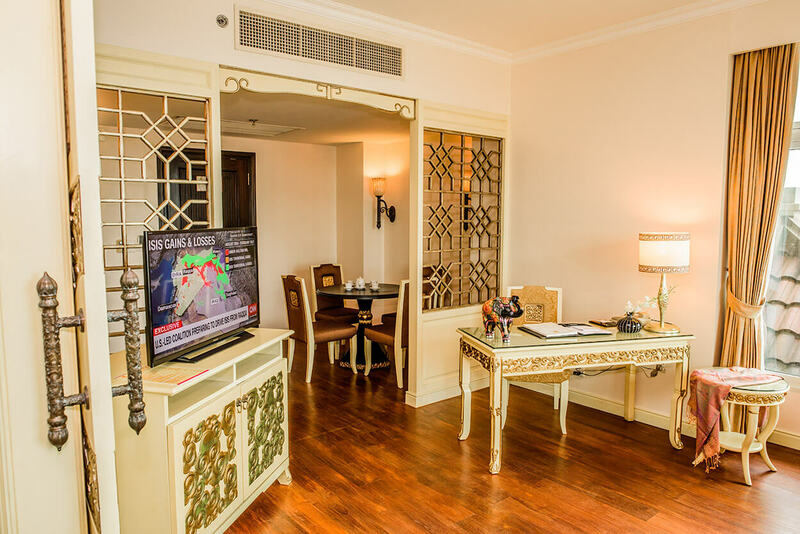 + Early check-in (10 AM) and late check-out (4 PM). 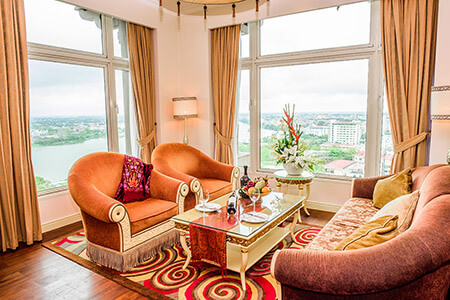 + FREE 2-way airport pickup and drop-off from Hue airport. 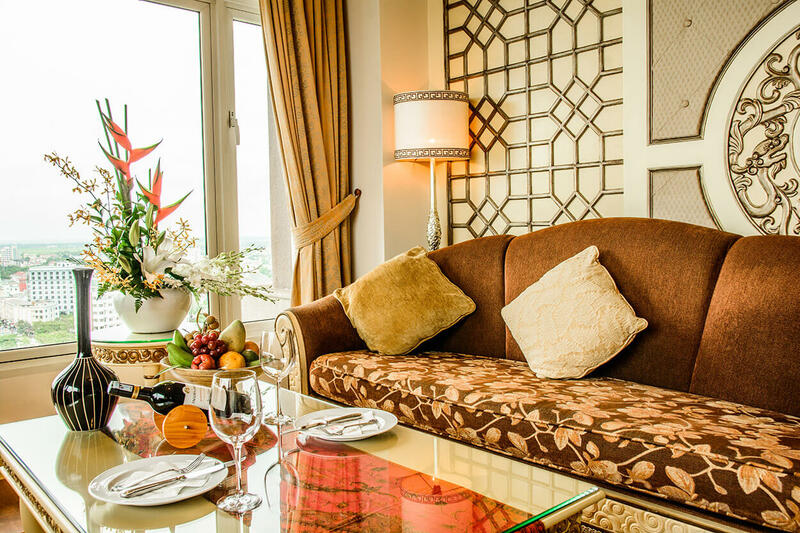 + FREE 01 bottle of wine, complimentary cake upon arrival; complimentary daily fresh flowers and fruits. 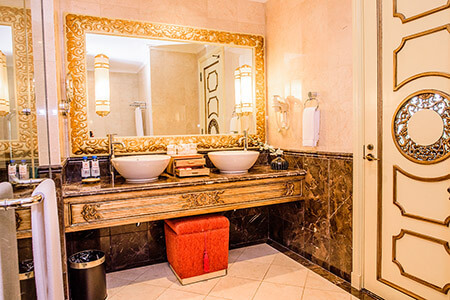 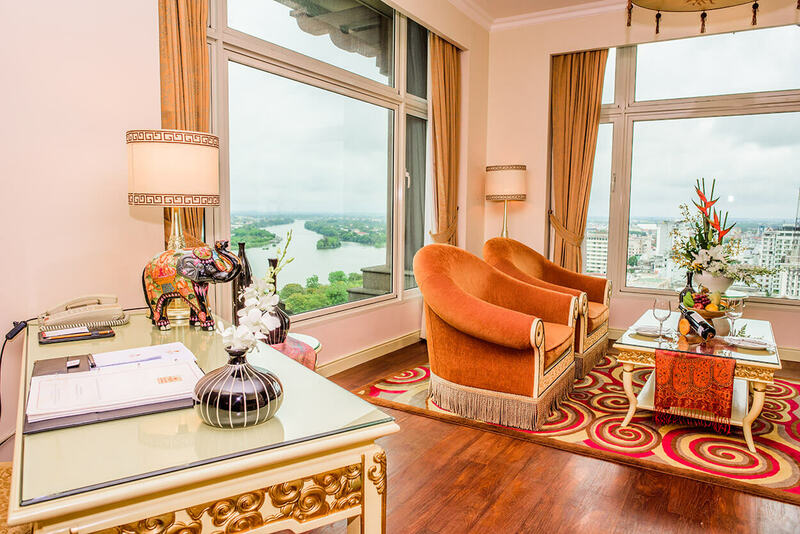 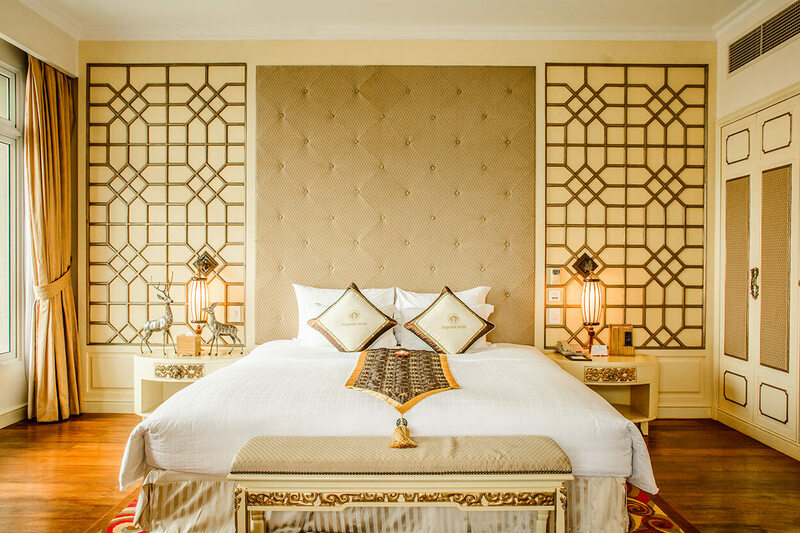 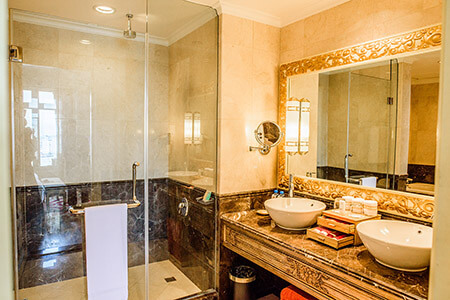 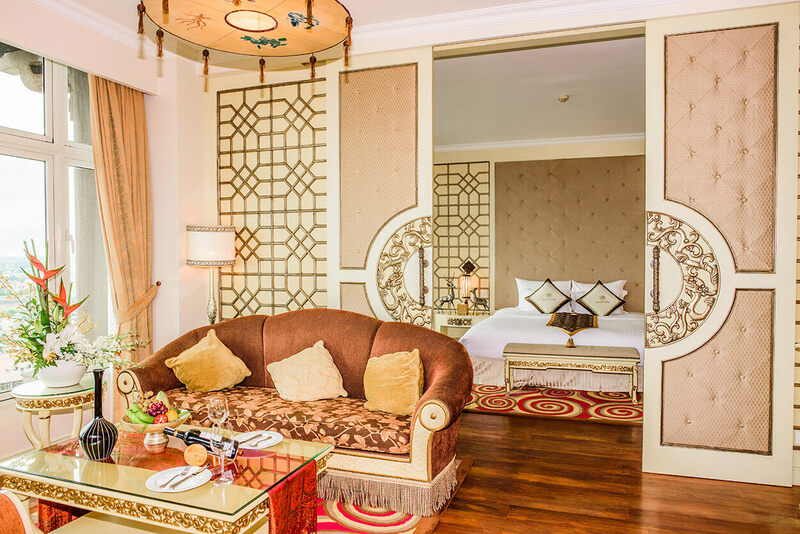 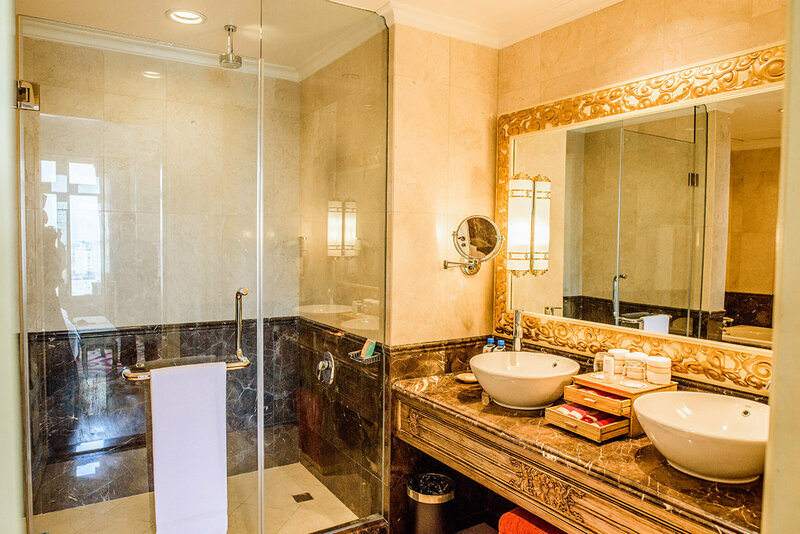 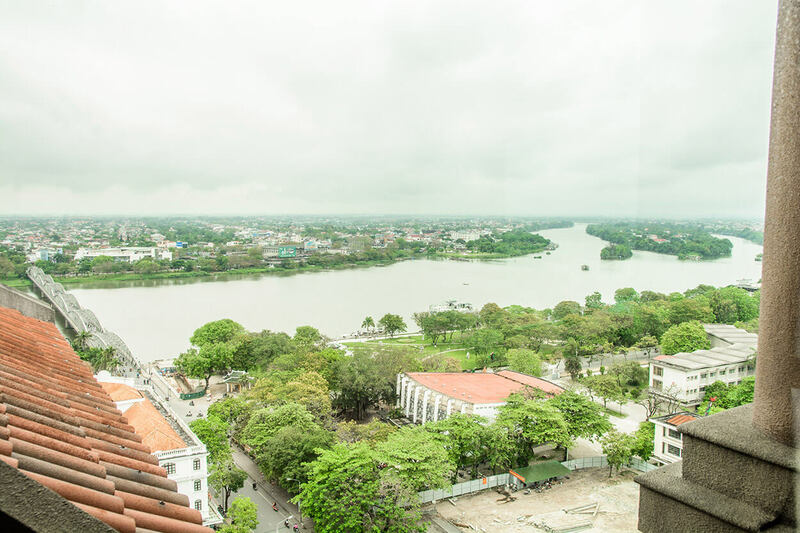 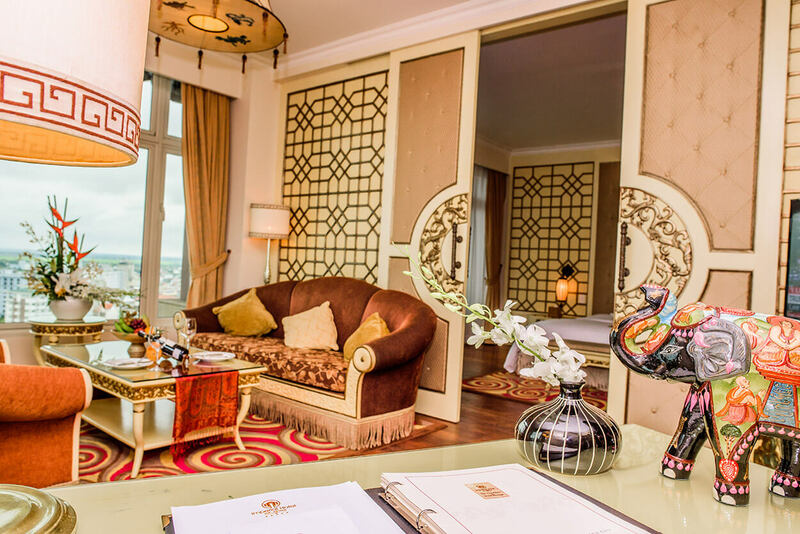 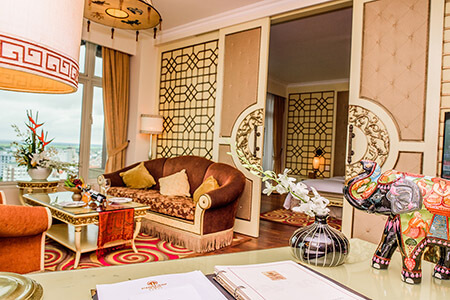 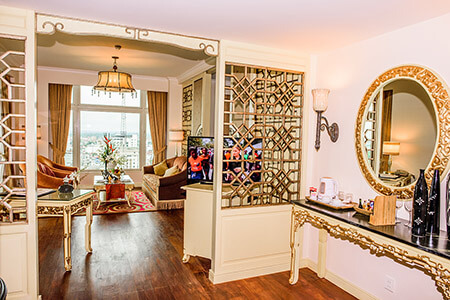 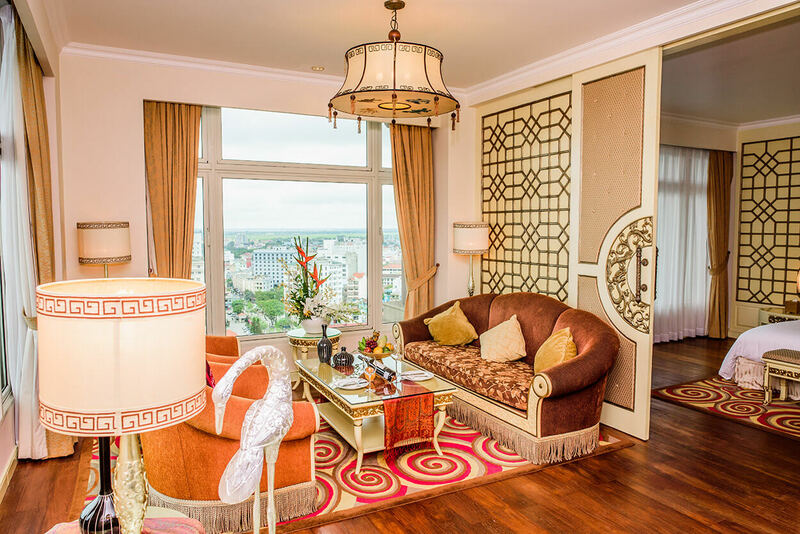 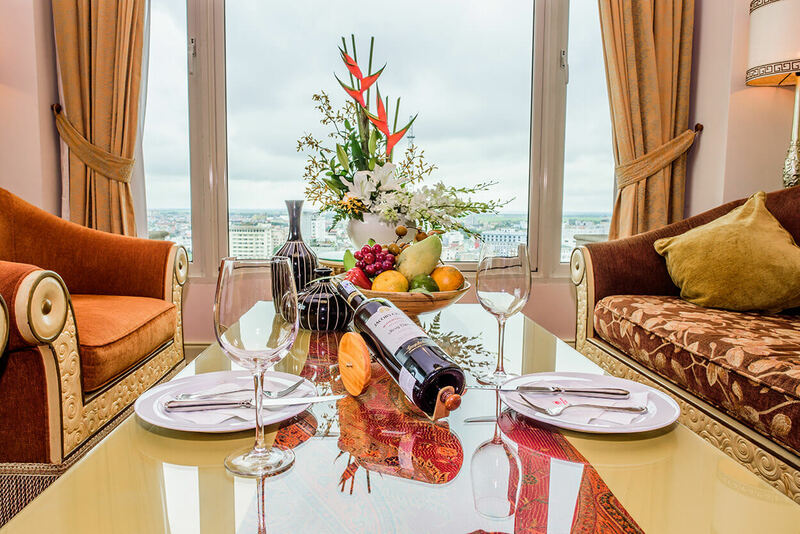 Situated on the highest floor, the Grand Presidential Suite provides spectacular panoramic views of the Perfume river, the magnificent Ngu Binh Mountain, the Truong Tien bridge, and ancient monuments of the city. The suite is 160 m2, which includes two living rooms, two bedrooms, and two bathrooms with architecture which combines modern with classic elements, blending historic architectural details and earthy décor with modern amenities. The suite has classic and polished wooden floors, natural fabrics, as well as classy, and elegant furnishing. The living room is equipped with LCD TV with cable TV, minibar, dining table, sofa, and a working desk. 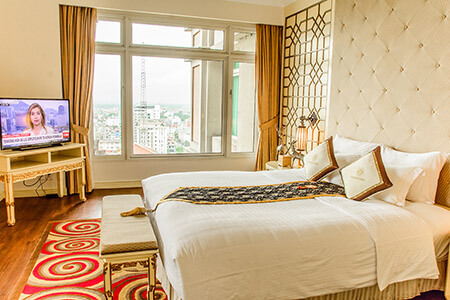 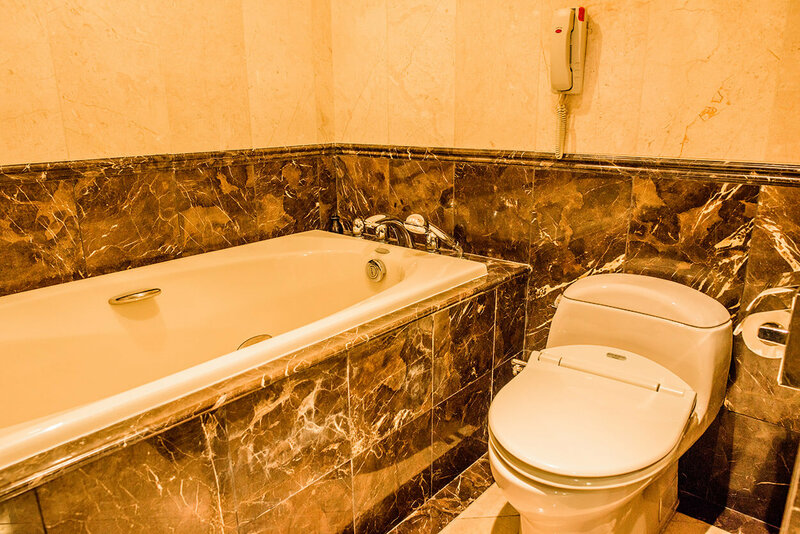 Room amenities includes: Balcony, riverview, air-conditioner, 4 LCD TV with cable TV, WiFi, telephone, safety box, dining table, working desk, sofa, extra-long bed, hair dryer, bathrobe, luxury bathroom amenities, toilet, walk-in shower, slippers, bathtub, and showerhead.